If you want to find the best looking biceps peak in the history of the sport, you are probably thinking of Arnie’s guns and you’d be right! Mr. Schwarzenegger would often say that it was vital to always squeeze your biceps at the top of the movement in order to get a concentric contraction while working on your arms. This concentric contraction is what makes your biceps grow! There are also eccentric contractions, which might even be more effective sometimes because you have to lower the weight eccentrically, even if you lifted it up concentrically. So, when you experience eccentric contractions, the fibers doing the work are fewer than those that would be activated during a concentric contraction, but that means there’s more force on each fiber. 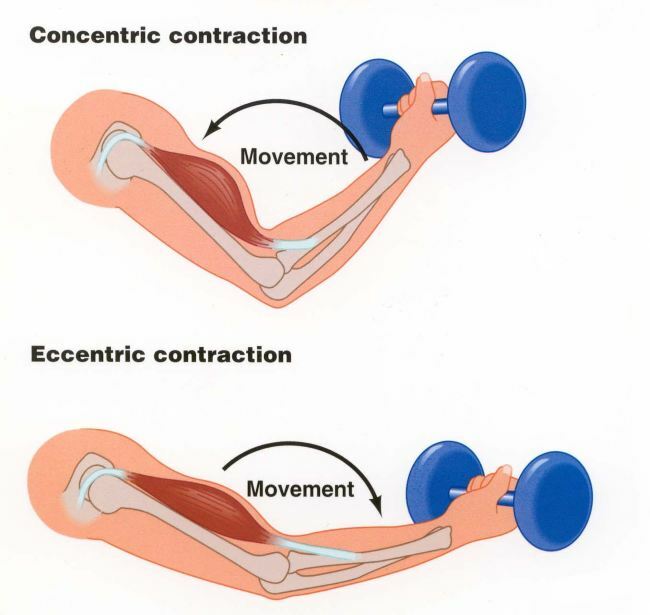 This means that eccentric contractions damage your muscles more than the concentric ones. An analysis which reviewed the findings of 15 different independent studies before it, found that while the concentric contractions can provide you with gains as good as the ones provided by eccentric contractions, the latter are still the more effective way to put on mass. Eccentric contractions have been found to give you about a 3.2% increase in muscle mass gained when compared to concentric contractions. We have to recognize that eccentric work is more tasking than concentric work because of the heavier weight you can use with this type of training, which means your muscles will grow more and faster. When you use more weight, you also put more strain on your muscles, meaning your chances of injury are greater. Any exercise you perform should accent your good eccentric contractions, but be careful with any extra eccentric-style workouts you may be doing. You need spotters and a volume of work that will enable your body to recover after training. ← Do Onions Actually Increase Testosterone Levels?